Kingfish is a term that actually comprises a number of different species of fish, particularly the king mackerel, the cero, the southern kingfish, and the northern kingfish. For our purposes here, we’ll be talking about the king mackerel. The king mackerel is a medium-sized sport fish and generally ranges in size between five and 30 pounds (but has been known to exceed 90 pounds). The fish is a sub-tropical species and generally hangs out from North Carolina down to Brazil, possibly as far south as Rio de Janeiro. King mackerel usually swim in depths of about 40 to 150 feet. 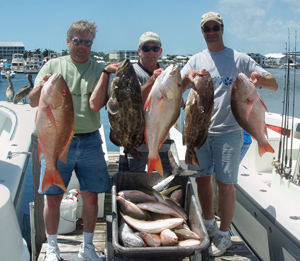 Larger fish of the species (20 pounds and up) often can be found closer to shore, in harbors and inlets. This fish is one of the most popular of gamefish due to its speedy – and tiring to fishermen – run when hooked. It’s a fast fish – faster than its cousin the wahoo. 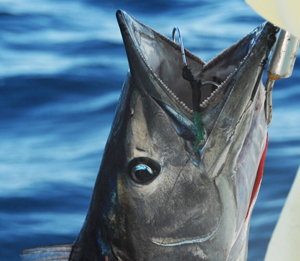 Most fishing experts recommend trolling for king mackerel. You can use live or dead bait and even artificial lures. Look for tackle that has a spinning reel that’s able to hold 400 yards of 90 lb test monofilament. It’s best to use a 7-foot, 20-pound class rod. You can catch a king mackerel in the sea, or even from a pier. 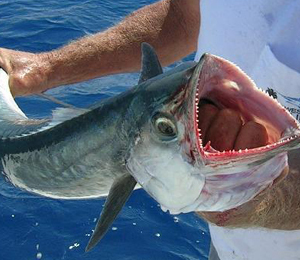 As for live bait, many king mackerel fishing experts recommend a live pogey (or menhaden shad). 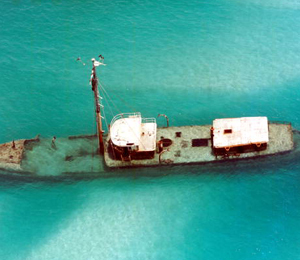 You can usually find pogies just behind the breakers in the surf; they can be netted with a cast net and placed in a live well. If trolling, use a light drag. They can hit and run quite fast. If the fish is hooked and running, pay close attention to your drag; a king mackerel of about 30 pounds can take at least 30 minutes to bring alongside your craft, so set your drag accordingly.